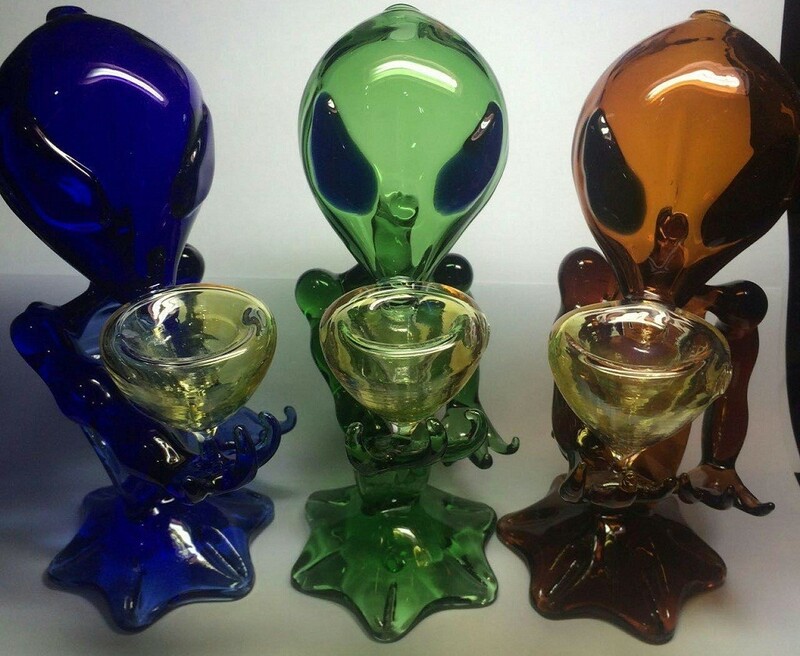 If you are looking for ways to take your smoking experience to the next level, you need to start adding some colorful alien bongs into your smoking arsenal. These are not your everyday smoking pipes, they appear to take on a life of their own once you get high, blasting you off to outer space with experiences that are going to be hard to compare with. 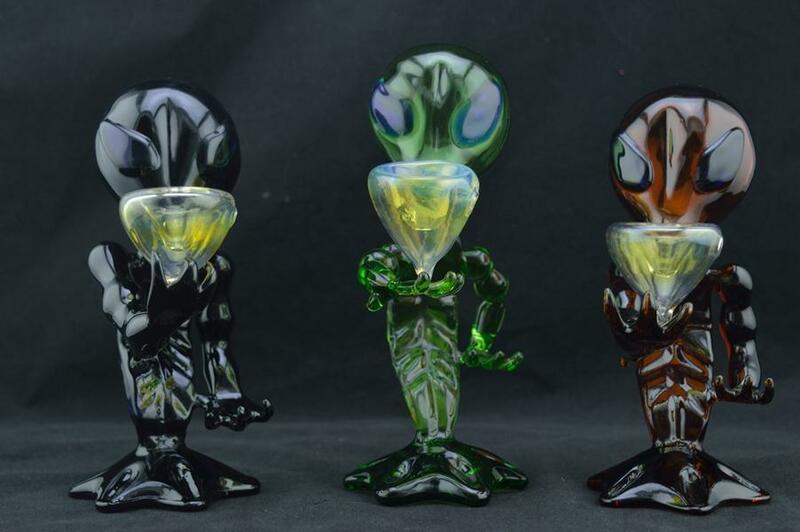 If you are not already familiar with the variety of alien bongs available, the following information will bring you up to hyper-speed. 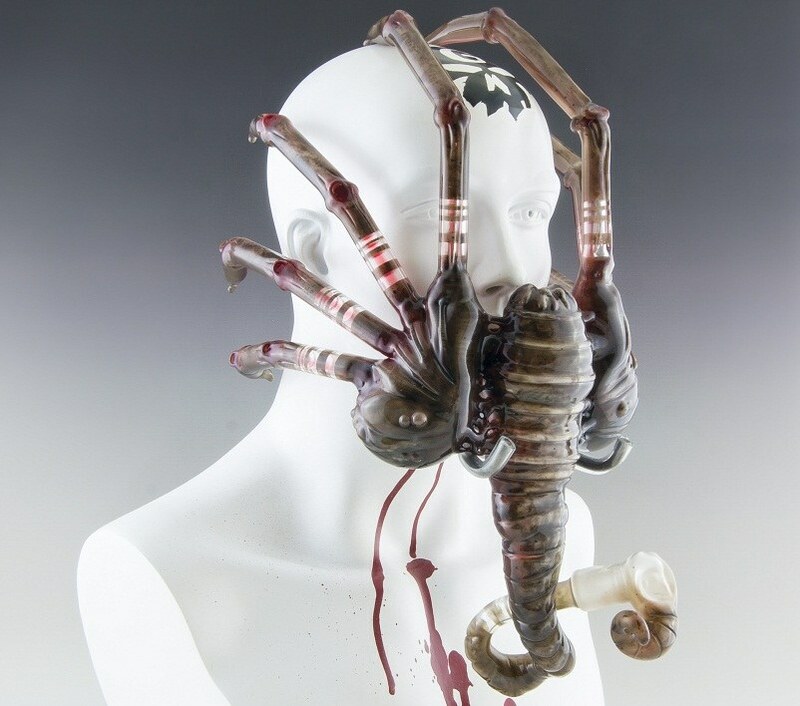 On of the more creepy and mysterious weed smoking devices is the alien bong. Crafted out of glass in the exact shape of the little green alien, it really will change the mood at your next party. The alien itself is packed with your moist herb, and once you get a nice glow, you take your hits from the mouth of the alien. Your friends won’t know whether to snuggle up and go lips to lips with the alien and get a high unlike any, or sit back and watch others make-out with a creature from another world. Once the party is over, this little green creature looks amazing and inconspicuous out in the open on a bookshelf. 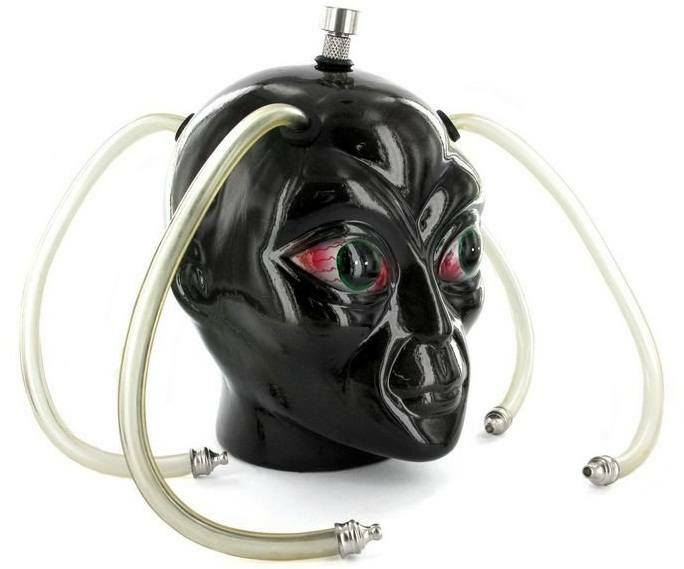 One of the more interesting weed smoking devices has the be the four station alien bong. The bong itself is designed to look like the giant head of a space creature. Sprouting from the head of the alien are four wild hoses that each person will use to get a hit off the skull bong. Taking a deep drag from the bong while looking at the faces of others who are staring at the alien head is priceless. Before you even realize it, four friends will become five, as the alien himself will appear like he is the center of your party. If it wasn’t intense enough taking a drag from the mouth of an alien, just imagine the experience when you take a hit and the clear head of the alien bong begins filling up with clouds of smoke. It will be impossible to look away as the alien appears to come to life each time someone take a hit off the mini bong. Each smoking experience will be wilder than the previous as your alien head fills up with residue and his appearance darkens over time. The alien bong is not just a cool smoking device like honeycomb bong, it is a way to expand the overall smoking experience. It will become challenging to separate reality from fantasy as your alien bong friend becomes a permanent fixture at your smoking parties.